This past weekend, Cadillac dealerships were treated to their first look at what’s coming from the luxury division. And many of them liked what they heard and saw. Automotive News (subscription required) reported on Sunday around 1,000 dealerships personnel attended the four-day-long event in Las Vegas, Nevada. There, dealers saw what Cadillac showrooms will play host to through 2021. 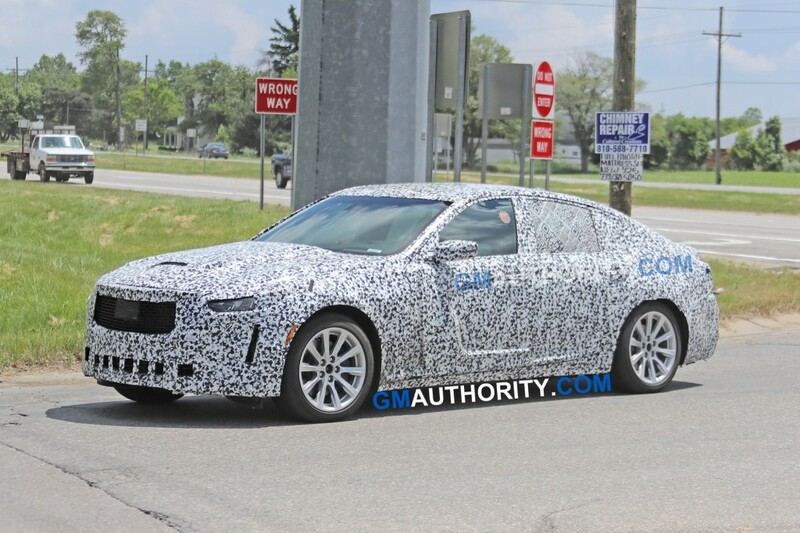 According to dealership personnel, Cadillac showed off the Cadillac CT5 and CT4 sedans, the next-generation 2020 Escalade and the three-row XT6 crossover. 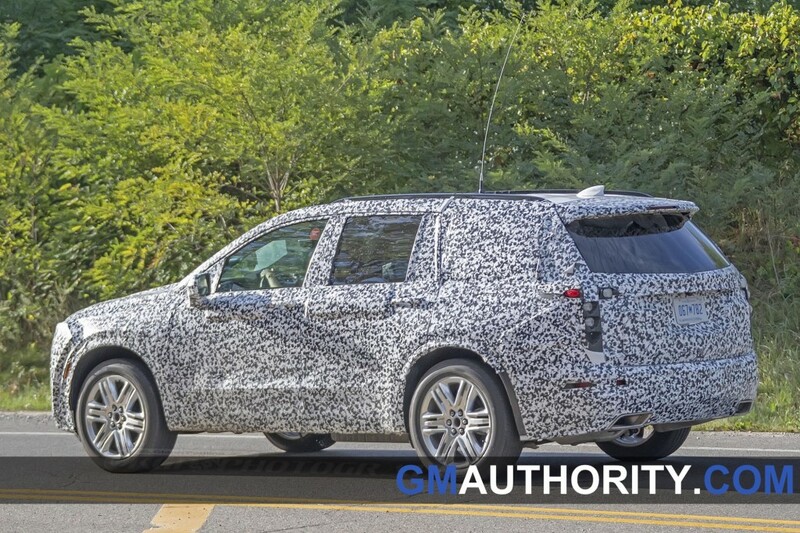 The XT6 will likely debut at the 2019 Detroit Auto Show. Each of the new vehicles Cadillac showed borrowed a healthy sum from the Escala concept car, unnamed dealer officials said of the products shown. Several other dealer officials said the event was reminiscent of past Cadillac meetings where the brand showed game-changing vehicles like the Escalade or Seville, or launched the Northstar engine. Cadillac has promised for years it’s ready to flex its muscles in the new-vehicle department and newly minted president Steve Carlisle iterated last week the brand is ready to go on the offensive. The luxury division will launch a new vehicle every six months through 2020 to play catch up after showrooms remained largely stale for years aside from the XT5 crossover and CT6 sedan. The compact XT4 is now making its way to dealers and serves a segment Cadillac has desperately needed to play a part in. Good news. I wonder if photos the new cars leak from the event. The dealers better be grateful for JDN, looks like he delivered big time. Speaking of new products, the new Cadillac One presidential limo made its first official appearance in New York today. Dealers are happy. That means more sales soon, doesn’t it? Are you sure? 1 out of 3 of those products got excellent profits, while the others were so-so at best and dropped after just a few years. Not a good record there for dealer Nostradamuses. However, that doesn’t stop them acting like “Big Government” and demanding fealty to their musings of the future and driving GM to make poor product decisions (Seville, Northstar) just to puff up their feelings of self-importance. This article is yet more evidence that dealers are the self-elected “governments” of the automakers. Hey dealers – if you want to dictate what a business does, then go set up a business of your own, instead of riding on the backs of another company and middle-manning every cent you earn. The only possible positive model of a dealership is one that participates in local Motorsport and offers cheap-track-training-drives to local kids, offers garage-workshop space for rent and offers technicians to help owner-wrenchers, and has a back-room movie theatre and bar (with Uber/Lyft on speed dial) for get-togethers. That’s a dealer boosting their local economy and culture. Just riding off GM’s back for free profits (until your poor advice ruins them) is not contributing to Making America Great. And look at the moment of their happiness – when they were shown something new and they REACTED to it. They didn’t invent it, they didn’t think it up, they didn’t contribute a single original thought to the entire process. They just reacted to a prompt. The Cadillac dealers are literally “leading by being triggered”. Triggered leadership – isn’t that the exact thing Cadillac dealer-types don’t like about weak politicians? When Cadillac triggered those dealers to react with warm positive “notes”, that was like triggering a room full of Hillary’s. So easy. We shall see. I hope these things help Cadillac in their bid to turn things around though. Dealers are happy? My dealer has a hard time getting CT6s. With all the Caddies on his lot (XT5s) only 1 or 2 CT6s (no Platinum; or any 3.00TTs). Just regular Lux models. Crazy. If I want selections, I have to drive to another state. I really think the dealers are half the problem. They resist the change that is needed to make Caddilac great again. The engineers are getting it done, the product management is lagging behind the competition at least three years, and the dealers are stuck in the 80’s. I’ve bought from three dealers in Colorado…all of them but one is a bolt-on Caddilac dealer (bolted to the side of a Chevy/GM dealership). The purchase and ownership experience has been, at best, average. We also have a Honda and a Ford. The Honda dealer is the best at making us feel valued and the Ford dealer is the worst. The Caddy dealer—so so. They need stand-alone stores that are not next to a Chevy store. They need modern, clean store interiors that reflect the brand’s new tech prowess and don’t look like a Chevy store with a little bit fancier window blinds . They need much better service areas that are bright, clean, spacious, and not jammed full of cars on lifts that are 2 feet apart like a Chevy store. They need to train their people better and pay them better to attract top talent and treat the customer better. I owned a MB a few years ago, the car was boring, but the ownership experience was just plain enjoyable. Big dealership with tons of customers and was always busy, but I never felt like I was just a number or, like at some Caddy dealers, a burden. LIke I said above, the engineers are getting it done. It looks like the product managers are in full on catch-up mode and will get there by 2021. What are the dealers willing to do? It seems to me like they are the chicken in the ham and egg breakfast….they need to start acting like a pig. The relationship between GM and its dealers is hard to figure out to say the least. Where I live its definitely confusing who benefits most. The ( Luxury Mall ) here sells Mercedes, BMW and Cadillac. The Ford, Lincoln, Chevrolet, GMC, Buick dealership sells you whatever they can. Ownership, finance and service is all mixed up. Everyone works on all stuff. At the GM dealership they joke out loud on how hard it is to work with GM. We got lied to by the service director. Called GM, of course GM took his side, then explained to the CFO and he reimbursed us. It was a JOKE to say the least. What a dealership experience. If GM can’t stand behind its products with the OWNER of its products how do they expect a great dealership experience. The service advisor and service director drive Ford after all. So it is my belief Cadillac not only needs independent dealerships but ALL of GM. Even after spending $70,000.00 on a new GM vehicle I feel like a burden when I enter the dealership. I have owned 5 Cadillacs and still have 2. I was asking the dealership if they had any XT4s yet but no. We talked about how I am disappointed with the 2.0T, shift pattern, CUE of our 2014 ATS , he replied the 2016 ATS is smoother and better. Does that mean I need to wait 3 years to get a XT4. So I am sure glad GM has spent the time and money to make the dealers feel good, while promising us the consumer something great we can’t even touch yet. I would like to know when GM and Cadillac will spend the time and money and put the consumer first we are the ones buying your products. Why? Because, by law because of dealer lobbying, GM’s customer is the dealer, not the car buyer. GM will always favor the dealer until they can sell direct to customers. Dealers are middle men. They soak up the profits for themselves and dumb-down the service by hiring the cheapest workers.